Flower Power – This is the first in a series of long-lead features ideas from Voyages-sncf.com, the European rail experts, focussing on travel adventures taken by train across Europe and written with the help of our tourist board partners. For this and any other features idea you may currently be working on, please let us know if we can help with your travel arrangements. In this year celebrating that giant of English landscaping, Mr Capability Brown, we are focussing on gardens and springtime – nature’s way of introducing the world to the enduring and recurring beauty of nature. 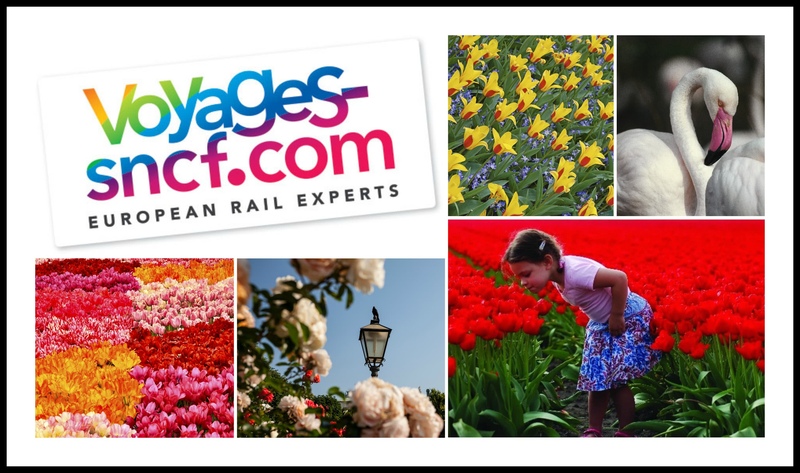 With more and more travellers electing to be green and travel by train these days, why not go on a mini-break with Voyages-sncf.com to enjoy some of Europe’s most beautiful gardens, starting of course with Holland’s Keukenhof, the largest flower garden in the world. It’s the easy way to travel. The beauty of Holland’s gardens will be celebrated in the National Gallery’s upcoming exhibition, Dutch Flowers, running from 6th April – 29th August and for spring flowers, you can’t beat the Keukenhof. 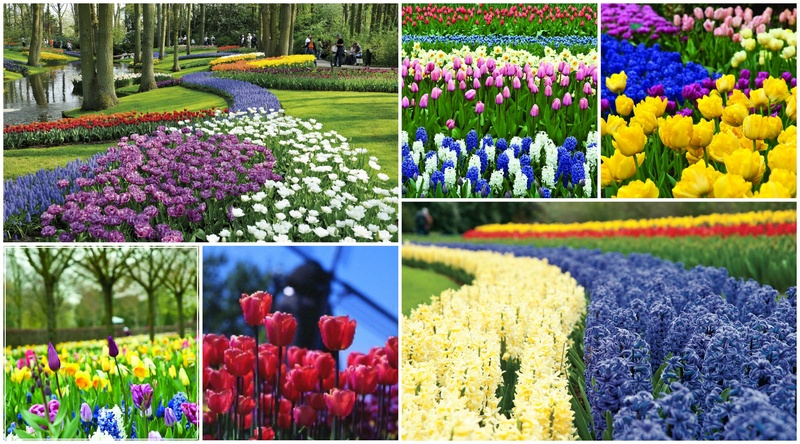 Perhaps the most famous of Dutch gardens as well as the largest flower park in the world, the Keukenhof is located between Amsterdam and The Hague. For devotees of the bulb, this is the perfect place to start a garden tour as over seven million are planted every year resulting in long vistas of colour and scent – swathes of irises, lilies, roses, carnations, orchids, hyacinths mix with tulips and daffodils to bedazzle the eye. There are also gardens for everyone – vegetable, romantic, beach, historical, vintage, sensory and even a Delfts Blauw Garden which is a joy in blue and white. Standard class return to Amsterdam starts at £81 per person. For a completely different take on gardens, visit the Garden Kingdom of Dessau-Worlitz in Saxony-Anhalt, Germany, now an UNESCO Heritage Site. Predominantly the work of Leopold III, Duke of Anhalt Dessau (1740 – 1817), the Duke used the art of landscape gardening to give expression to his political views. As the first English-style landscape garden in mainland Europe, the 18th century Garden Kingdom of Dessau Wörlitz unites garden design and architecture in perfect harmony. There is so much to see here with more than 100 buildings of varying sizes and a range of sweeping parks and gardens, all spread over an area of 140 square kilometres on and around the banks of the rivers Elbe and Mulde. Standard class return to Dessau via Berlin starts at £264 per person. If you have been inspired by the Royal Academy’s exhibition “Painting the modern garden – Monet to Matisse”, then why not visit the real thing? Giverny in France’s Normandy region, is probably one of the most famous of gardens thanks to its association with one man, the impressionist artist Claude Monet. He moved with his family to the village, then a quiet provincial backwater, in 1883 and during his lifetime, designed several exuberantly colourful gardens. The gardens inspired his painting and his Les Nymphéas series in turn, put little Giverny on the map. Visit his restored house and gardens as well as the Musée des Impressionnismes and the Hotel Baudy where many of Monet’s contemporaries used to stay – now a restaurant. The head gardener, by the way, is a Brit by the name of James Priest. Standard class return to Vernon via Paris starts at £64 per person. 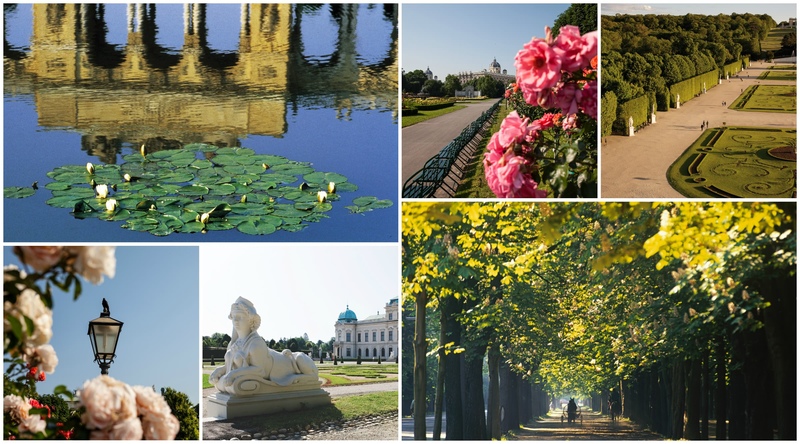 Vienna is surprisingly one of the greenest cities in Europe with over 850 parks and green spaces (80 of them Imperial). Here’s some astonishing facts and figures about the city: Their Prater park is almost twice the size of Central Park in NYC, there are 400 varieties of rose in the Volksgarten, it’s home to the oldest alpine garden in the world, has 42 km of beach on Danube Island, is the only European city with a national park within its city limits (Donau-Auen), has 1,716 bridges (four times as many as Venice) as well as having over 19,000 park benches to take the air! Garden savvy visitors are spoilt for choice but highlights might include the 60,000 sq m Hirschtetten Botanical Gardens with its diverse assortment of flowers and plants or one of the baroque gardens such as the Schönbrunn Palace, the Palace Garden of Belvedere or the Liechtenstein Garden Palace. Standard class return to Vienna starts at £227 per person. Why not visit Geneva’s famous flower clock, situated in the city’s peaceful Jardin Anglais. Created in 1955, the clock contains around 6,500 flowers and plants which change with the seasons and – of course this being Switzerland – it tells the time with Swiss precision, helped by satellite transmission. If you love roses too, then the award-winning Roseraie du Parc La Grange is a ‘must visit’ There are over 10,000 rose bushes divided into 20 different varieties blossoming every summer. Alternatively visit Geneva’s Botanical Gardens with their collection of over 12,000 species. Originally created in 1817, today the gardens cover an area of roughly 28 hectares and their Herbarium, one of the world’s largest, has over six million specimens of plants and fungi. Standard class return to Geneva starts at £81 per person. About Voyages-sncf.com: Voyages-sncf.com is a subsidiary of the French National Railway Company SNCF and an expert in railway travel to Europe and French destinations. It is a key player in the European tourism industry employing up to 1,000 people across its European business. In 2015, the group sold 78 million tickets with annual sales revenue of €4.2 billion, across more than 30 countries. Voyages-sncf.com comprises 15 websites in 8 languages, mobile sites and apps and an integrated call centre service. About SNCF: Present in 120 countries, SNCF is a world leader in mobility and logistics. Its total workforce of 250,000 generated revenue of €32.2 billion in 2013, with over 25% of sales from markets outside France. A public sector group dedicated to public service, SNCF builds on its foundations in rail to offer a broad range of services, delivering seamless door-to-door mobility for transport and logistics operators, passengers and the regional and local governments that are its organizing authorities. www.sncf.com. *Calls to 0844 numbers cost 7p per minute plus the phone company’s access charge.